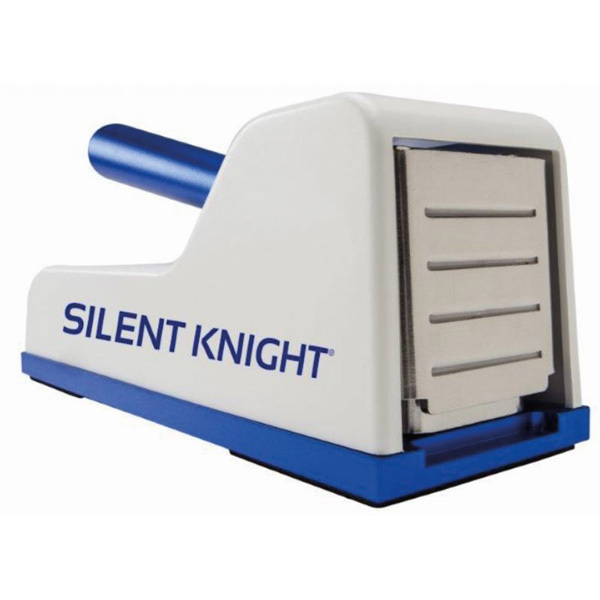 Pill Crusher Silent Knight PROFESSIONAL: The Silent Knight has long been a significant and highly trusted system component in medication management. Pill Crusher User Safety…Maximum results with minimal effort. Contour cover encloses internal moving parts. 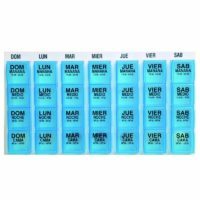 The Silent Knight has long been a significant and highly trusted system component in medication management. 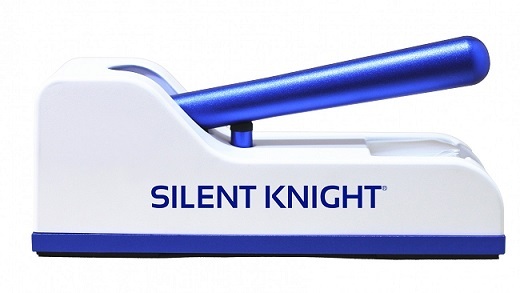 Long term care facilities and hospitals in the United States and around the world use the Silent Knight everyday. The drug is put into a polyethylene bag. The Pills are ground into fine powder at the very pressure on the “SILENT KNIGHT®”. 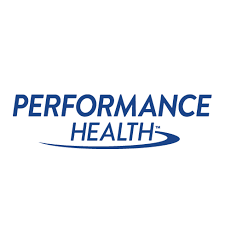 Any risk of contamination and dosage error is eliminated. The “SILENT KNIGHT®” does not requier any cleaning or sterilization. 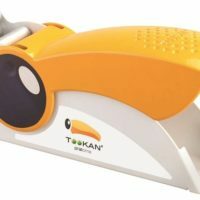 The handle offers a good grip and the crushing mechanism is effortlessly activated, wich avoids pain in the shoulders and upper limbs. As the drug is crushed within the bag, there is no loss of product. 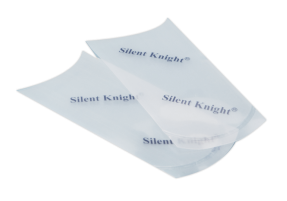 Due to its completely silent mechanism, “SILENT KNIGHT®” can be used at your patient’s bedsides. No battery, no power source is needed. This model, made from aluminium alloy, is 27cm long, 8cm wide, and 12cm height. Advanced engineering and design components have been applied to the original Silent Knight’s basic operating and crushing features to create the New Silent Knight. 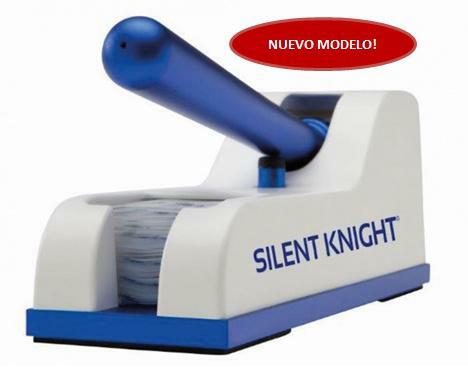 The patented dual action “crushing and grinding” movements of the New Silent Knight result in silent, smooth, effortless and effective crushing of pills to fine powder. User safety is enhanced with the specially designed internal handle shock absorber. Materials: Stainless steel, anodized aluminum. Latex free. Place pill(s) into Silent Knight Pill Crusher Pouch. Lift handle and place pouch down between the crusher plates to initiate crushing. Press handle down to crush pill(s). Lift handle and pull pouch upward to halfway up the crusher plates. Then press the handle down to activate grinding movement. Press handle down several times to grind pill(s) into fine powder. 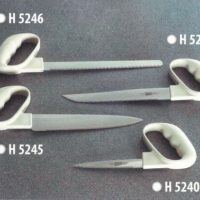 Easy to grip contoured closed handle. 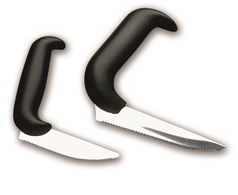 The utensil set at an angle to minimise wrist movement for the user. The angle keeps the wrist straight and the grip friendly oval shape ensures a stable grip. Blade is set at an angle that minimizes the movement of the wrists. Soft-touch grip, ergonomically designed, provides great stability, control and balance. 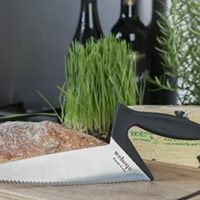 The special designed grip leans over the blade and captures the force from the natural cutting movement. This grip requires less force enabling you to work longer without experiencing fatigue. 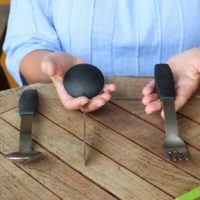 Eating independently despite a disability. The non-slip, attachable grip pads leave a pleasant feeling. 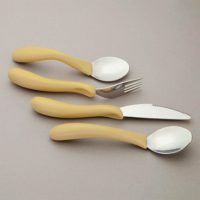 This set is designed specifically for people with a long-term disability.